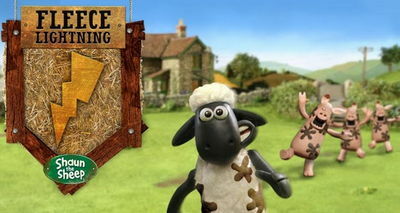 Shaun the Sheep has found its way to your Android devices thanks to Chillingo. Fleece Lightning is the official game of the show bringing all the craziness right to your mobile. Start the race and defeat the other farm animals and be called a champion! You play by guiding a turbo-charged Shaun the Sheep in a titular race to outrun the pigs. 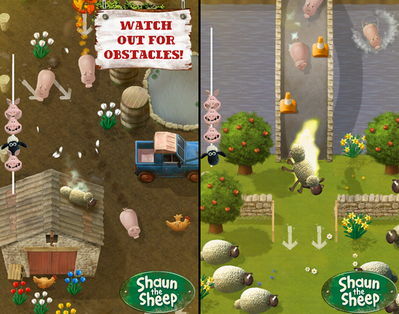 80 farmyard courses await you to, filled with jumps, dangerous obstacles and epic power-ups. Become the Championsheep now! Your goal in the Fleece Lightning race, as it is in any race, is to arrive first, duh! Have fun with your favorite sheep character, and guide him through all levels and some of the craziest courses. Burst through hedges, zip across rooftops, leap rivers and more! Players can even create their own tracks thanks to the included level editor, let your imagination go wild!